when i launch the starcraft II app, it load (jim's face) but then i only see a planet with a spaceship. I can't see the Battle.Net log in thing. Sometimes this is due to some broken permissions. Try doing this. 3. In the Info box, go to the Sharing & Permissions section and click on the lock and unlock it, entering your admin password when prompted. Then run a repair from the repair tool located in /Applications/Starcraft II/Support. http://www.surveymk.com/s/RF8K3KG ---- Rate my Baaaaalue Posts. How's this sheep doing? OMG!!!!!! THANK YOUTHANK YOUTHANK YOUTHANK YOUTHANK YOUTHANK YOUTHANK YOUTHANK YOUTHANK YOUTHANK YOUTHANK YOUTHANK YOUTHANK YOUTHANK YOUTHANK YOU VERY MUCH. And yes, I can't wait for D3 also. Looks like some awesome stuff! Diablo 3 is awesome sacue. However, I have been wanting to play SC2. I tried the above step and I am still only seeing stars. Also, when I try to run the repair application, it takes forwver to look through 8MB. Any help Blue? I'm having the same problem... It has been 3 weeks since I couldn't play SC2 on both my mac and windows7 laptops since the 1.5 patch. First, both laptops got a message about internal errors. With weeks trying to fix and reinstalling Starcraft2, I could finally got access to the Starcraft 2 but now I have missing menu and interface. I can't log in neither. I tried to follow the what the link says, but I cannot find repair tool in my folder. I saw that repair tool is integrated into update somewhere. 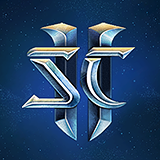 I'm so frustrated right now... Is there any way to repair SC2 application?